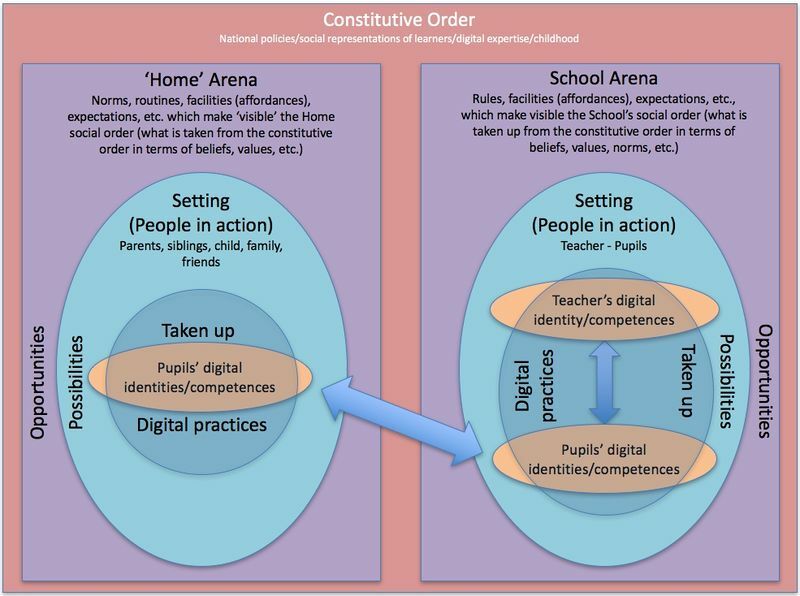 The arena of the school/home – the enduring features of the school/home that reflect how the constitutive order has been taken up in terms of beliefs and values. This would, for example, include: norms, routines, rules, facilities, and expectations. The arena frames the opportunities that are available. The setting (people in action) – the people within the arena who interact with each other and with the child. Through their actions people within the arena create and/or constrain what the child can do. The setting (People in action) frames the possibilities that are available. What is taken up, what individuals do within the setting (people in action), which is a reflection of their identities - what they see as being possible for them to do within the wider possibilities offered by the setting (people in action). See the Section 2.1 of the meta-analysis report for an academic introduction to the sociocultural underpinnings of the project, and Section 3.3 of the meta-analysis report for a more detailed explanation of the project’s sociocultural framework. This page was last modified on 26 June 2017, at 18:26.